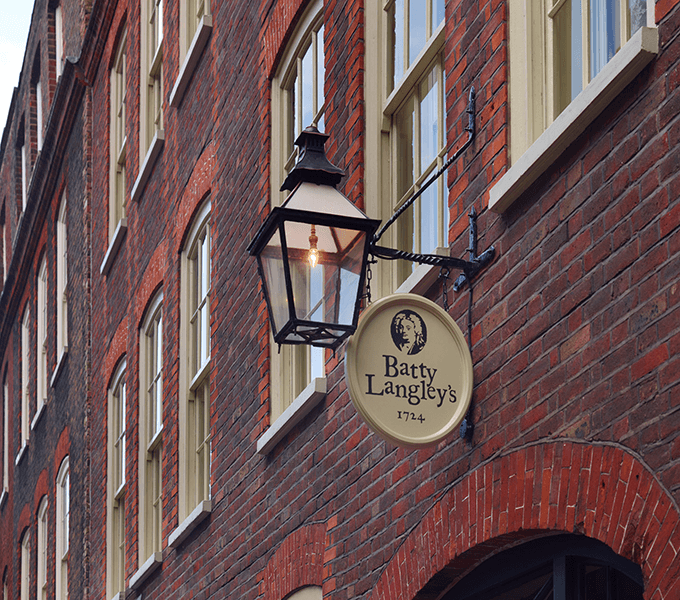 Following the success of Hazlitt’s in Soho and The Rookery in Farringdon, our clients have opened a new hotel on Folgate street in Spitalfields. 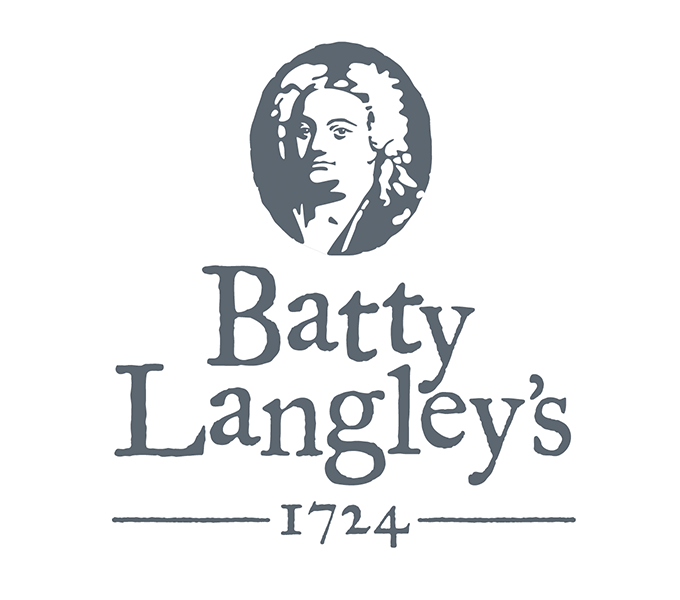 The hotel is named Batty Langley’s after an eccentric 18th century architect and garden designer. 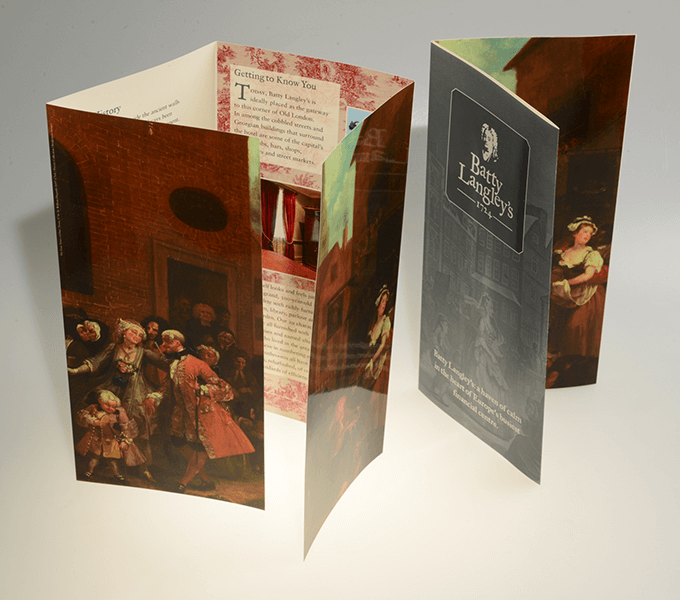 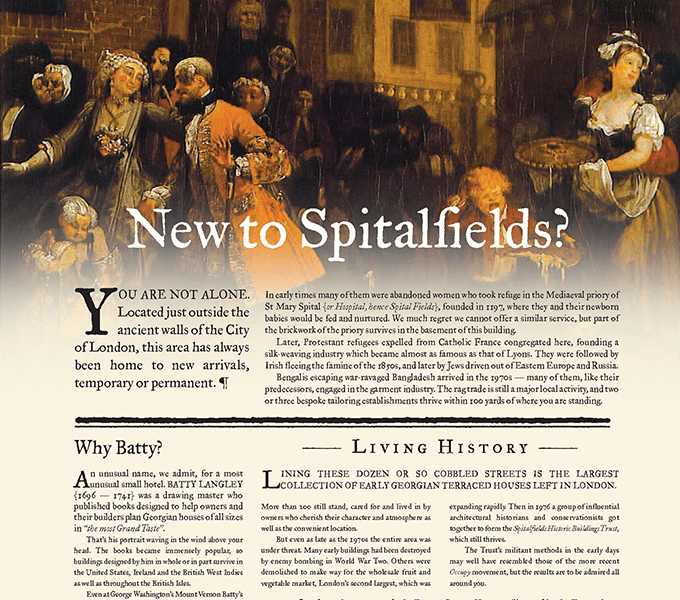 The logo features a portrait of Langley and antique-style typography, whilst the brochure and website feature Hogarth’s painting Noon, showing French Huguenots leaving a church contrasted with bawdy Londoners - perfectly capturing the eccentricity of Batty Langley’s ambience.